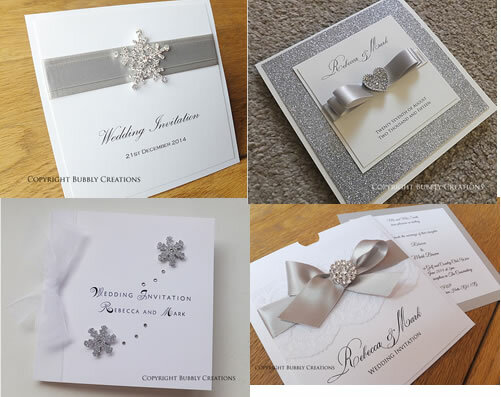 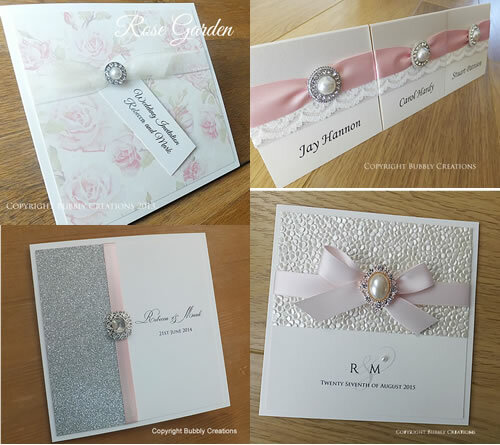 Our Filigree collection is one of my favourite designs as it is so simple and elegant with a double layer of satin ribbon and finished with a large pearl and diamante embellishment. 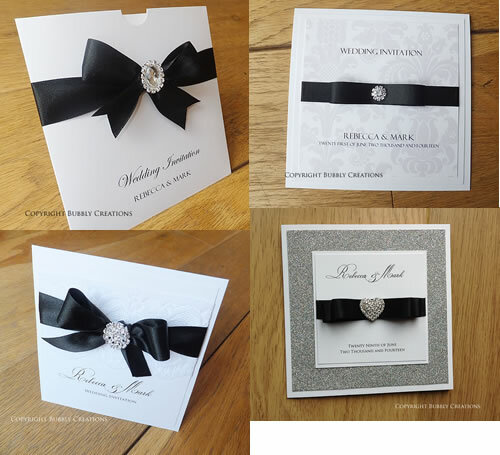 The embellishment is very heavy and along with the thick card we use it really is very luxurious. 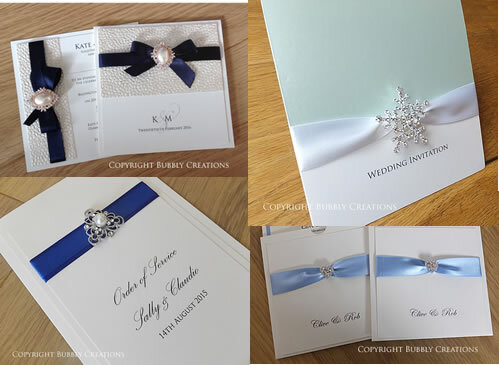 We were contacted by Sally and Claudio back in 2014 who asked us to make a full range of wedding stationery in our Filigree collection in Royal Blue and Ivory. 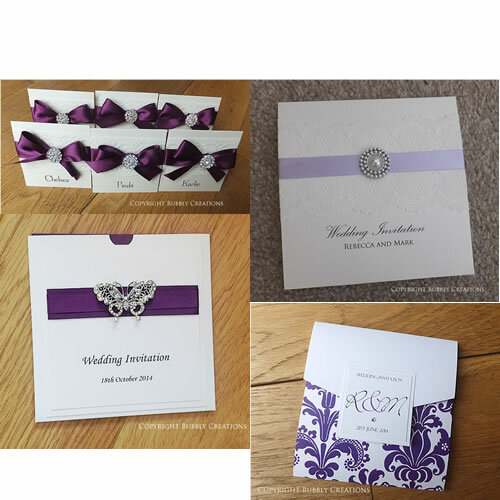 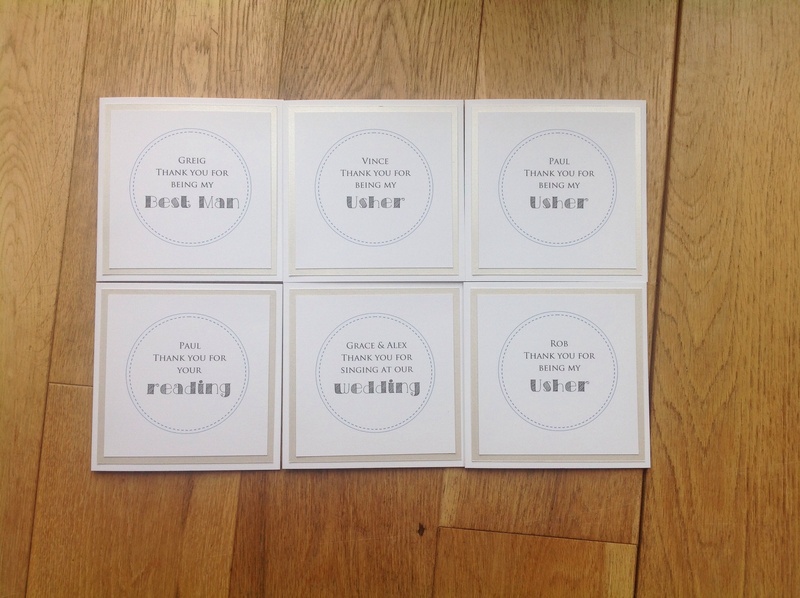 We had made their Save the Date cards and wedding invitations along with all of their on the day stationery so we had been in contact throughout every stage of their wedding plans. 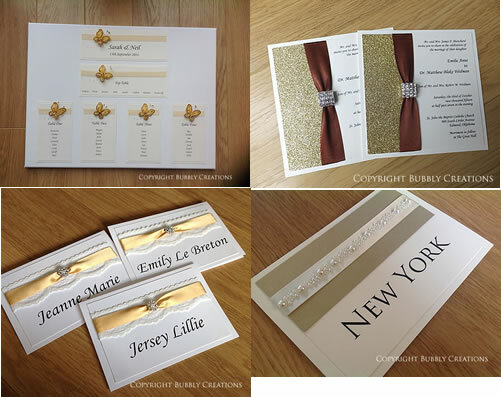 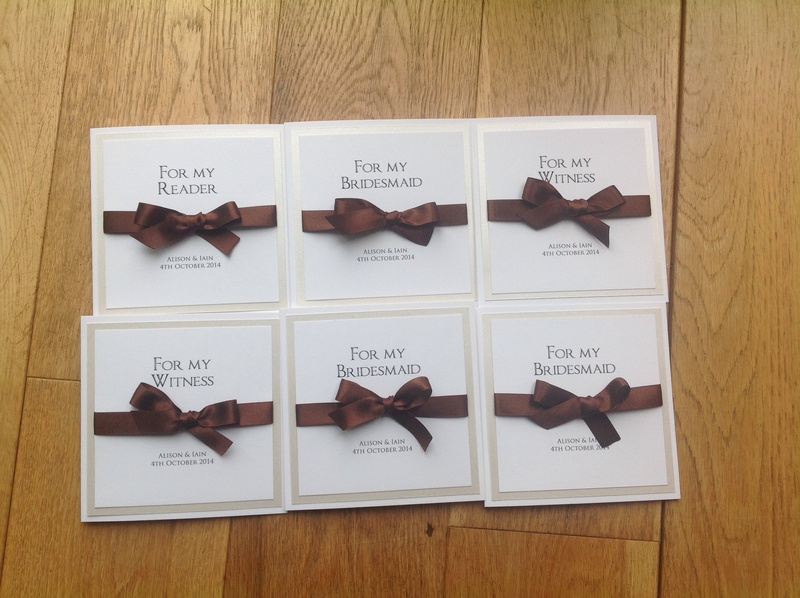 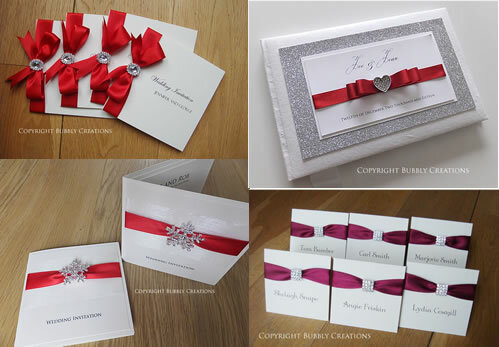 For their on the day stationery we were asked to make a matching table plan, order of service booklets, table name cards and our classic place cards (a satin ribbon bow and single diamante). 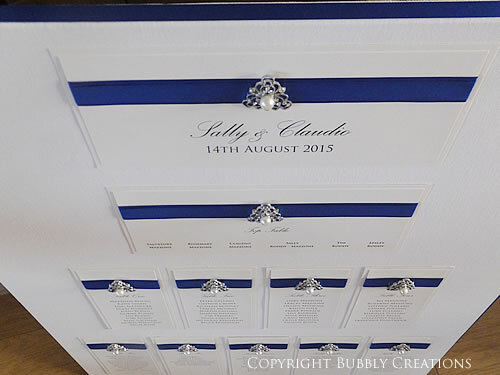 They needed a table plan for nine tables plus the top table so needed a large plan which can go up to 14 tables plus the top table and we went for the standard layout of a header card, with a long top table and two rows of tables underneath. 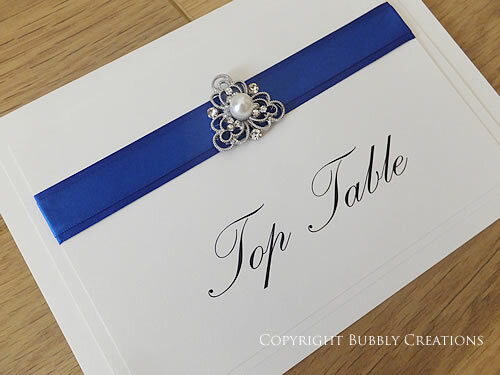 We made matching table number cards on tent style card which can be free standing or put into a holder. 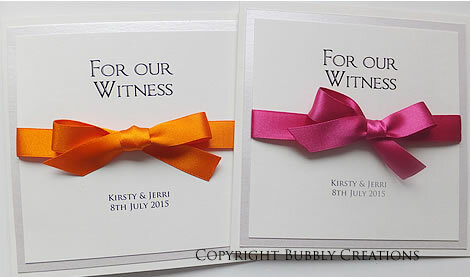 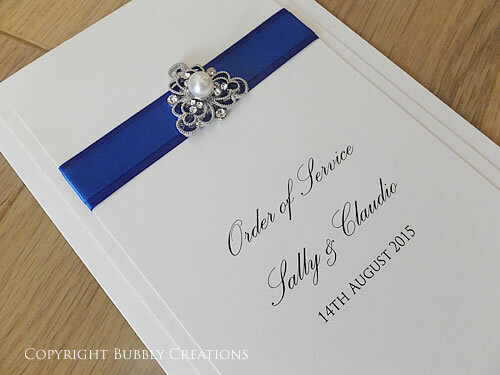 They also needed matching Order of Service booklets. 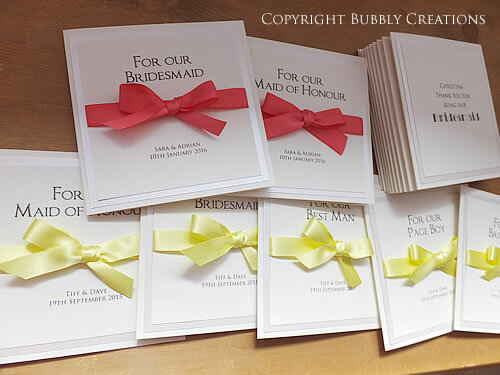 They measure A5 in size and come with a paper insert. 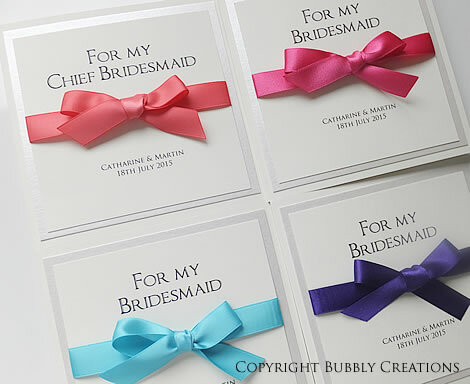 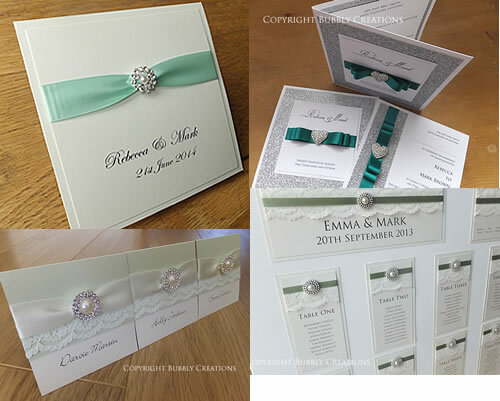 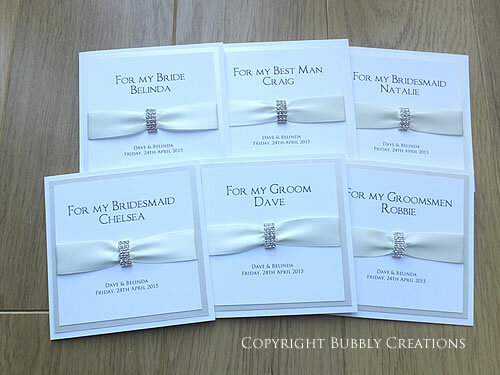 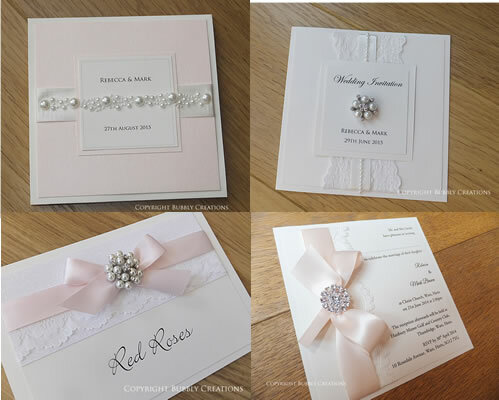 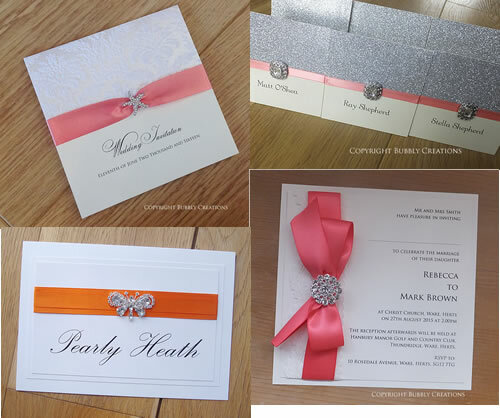 We can make the Filigree collection on white, cream or ivory card and you can choose from many ribbon colours. 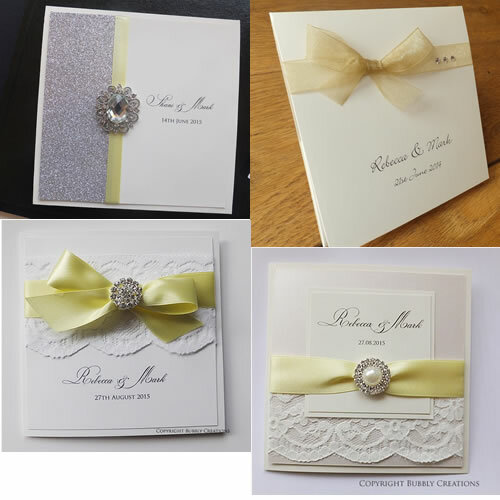 We are often asked to make this design in cream or ivory but I think the bolder and darker shades really bring out the embellishment.